Schools Attempt to Force False Reefer Madness on Children Using Bogus "Weed Goggles"
The Neighborhoods Against Substance Abuse (NASA) and Hancock County Youth Council are understandably concerned with abuse of alcohol and other drugs, but use of the goggles, which creates fear based on false realities, is questionable. The goggles take away the ability to see red, which is somehow meant to simulate being stoned. They said navigating a map was nearly impossible and students failed at noticing dangers on a mock driving course with tiny cars. Of course, you can see the color red perfectly well under the influence of cannabis. Tim Rutherford of NASA, which procured the goggles for the Youth Council, is a believer. “Anytime you can do an activity — something that’s interactive with them, or something that provides education, that’s great. These actually simulate the loss of some of your cognitive functions,” said Rutherford. While the abuse of any substance can cause impairment, responsible use of cannabis can actually increase some areas of cognitive function, such as creativity. A museum and a well-known artist in Australia went so far as to support limited, case-by-case use of cannabis to stimulate creativity in teenagers. Youth Group students who used the goggles demonstrated that the strategy of fear and misinformation has a powerful influence on the young minds. “I think it kind of scares them. Especially younger kids. High schoolers they kind of look past it, but with the younger kids they see what horrible things can happen. I think it impacts them a lot because they can see how real it is,” said Blair Viehweg, a Mount Vernon senior. 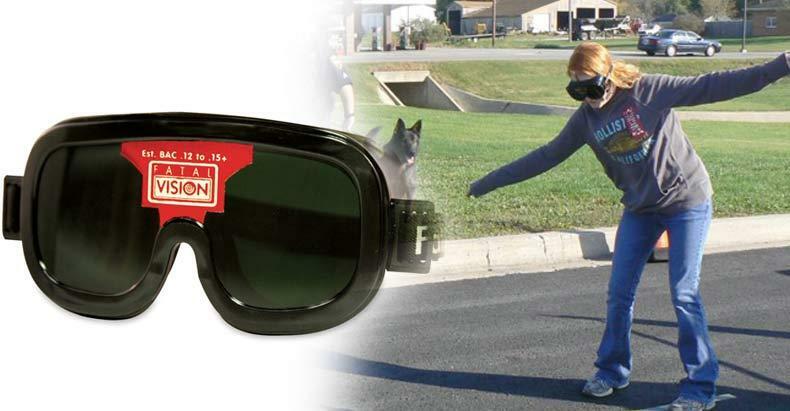 It is a laudable effort to keep kids from driving under the influence of any substance, but are “marijuana goggles” that mimic false realities the best way to go about this? Also, promoting them may have the reverse effect of getting more kids interested in cannabis. The Youth Council plans to take the goggles and the “marijuana simulation experience” to other schools and community events. The use of such a device that does not actually simulate the effects of marijuana, hearkens to the 1930’s-era propaganda Reefer Madness, which presented a false reality of madness and violence under the influence of cannabis. Teenagers and adults would be much better off getting real information on cannabis and other substances, so they and their families can rationally decide for themselves what is responsible and what should be avoided.